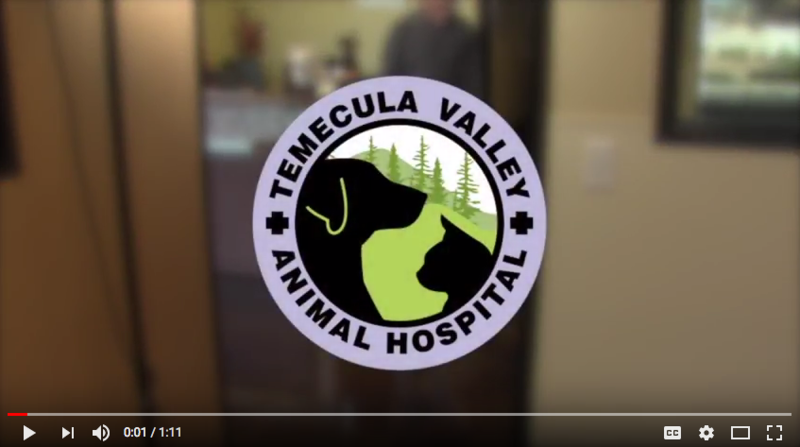 Temecula Valley Animal Hospital has FEAR FREE certified veterinary professionals. Where quality medical care meets quality client care. Every patient receives TVAH C.A.R.E. Action to better their situation. Resolve to enhance their lives. Enduring commitment of their cause. I couldn’t be happier with the care my little one received here! My little guy fractured his tooth, very painful. I was seen very quickly, he had a thorough exam, the technician and Doctor made me an estimate right then and there. Without delay they got to work on my little fella. If you are new to the area or just looking for a new, loving & safe place to take your four legged family members, I whole-heartedly recommend Dr. Lara Downs at Temecula Valley Animal Hospital. I’ve known Dr. Downs for over 5 years and she has cared for my five dogs during that period of time. She is warm and caring, as well as being a skilled and knowledgeable doctor. I also never feel like she was ordering tests that may or may not be absolutely necessary, just to increase the amount of my bill. She makes her suggestions for care options and I always felt like I was part of that decision making process. I am sure you will love her as much as I do! Finally found our vet. Dr Downs is amazing with my cat, I have never seen him more relaxed at a vet office before. I was also very impressed with the staff her husband Dan is very helpful and professional. We went in for a routine Vet visit I thought maybe my cat had an ear infection but wasn’t sure. After his exam Dr Downs was able to determine a mild ear infection, we caught it on time. what I loved the most was how gentle her and her technician were with my cat. She didn’t try to push anything outrages on me which I really appreciated. Her technician came back in and explained everything to me in a way I was able to understand she was so kind and patient, I had a ton of questions. Thank you for the excellent care sorry my review was a bit overdue I visited three weeks ago on a Thursday also thank you for taking me first thing in the morning. They were so accommodating. Dr. Downs and her staff are truly amazing people! They’re very knowledgeable and work with you to find out what’s going on with your pet and find a solution. You can tell that they are true animal lovers. I love that they take the necessary time to get to know your pet and any concerns you may have involving your furry family member. I literally could talk forever about how wonderful they are but, I will simply say that Dr. Downs and her staff are AWESOME!!! My fur babies are clients for life! We brought our baby to TVAH today and it was an amazing experience. Our girl is a rescue with extreme anxiety. All of the staff was wonderful. They absolutely love and care for your animal as if it was their own. They were so reasonable about treatment. It was refreshing to not have a vet rack up the bill with unnecessary treatment. We have found our new family veterinarian! If you are looking for an amazing vet that won’t break the bank, and that will genuinely care for your pet, Dr. Downs, and all of her staff are phenomenal! They take their time with your visit, and won’t overbook themselves to be sure to give you their undivided attention. Not only are they great in person, but they also will answer questions over the phone! We are so thankful to have found them, and never see us going anywhere else!! We honestly can’t say enough great things, and would highly recommend to anyone! Thank you so much for taking such great care of Greinke!! We have been a few times now and each time the staff focus on creating a calm and loving environment for the animals and really spend the time to answer any questions you might have. Thank you so much for the great service! Dr. Downs and her entire team are phenomenal. It’s so obvious they truly care about the well-being of animals. They get to know your fur-child and never rush. Very reasonable rates as well. They will adapt to make sure that your pet is the most comfortable. My older, larger dog recently had surgery, a dental, along with some other procedures. Dr. Downs, Suzie, Dan and Justine went above and beyond to make sure it was a success. My boy isn’t the “easiest” of patients and from Day 1 they made sure to accommodate him so he felt safe and happy. I’m so grateful I found this Vet! Go see them, you and your pet will be happy you did! Dr. Downs was able to get my little guy in last minute when he was sick. I LOVE LOVE LOVE all the staff. Everyone was so nice and sweet with my scared little guy. Dr. Downs and her tech spent a lot of time with us waiting for my little guy to become comfortable with them so they could complete the exam. And he received A LOT of treats:) It is very apparent that everyone at TVAH loves their job and loves animals, which helps puts owners and animals at ease. I have already recommended Dr. Downs and TVAH to friends. Excellent service. Dr. Downs and her team are amazing. I hate taking my cats to the vet as they are “scaredy” cats but this facility has a fear free approach. My cats have never been calmer. I also love that they don’t try to up sell you and only focus on what you came in for. Dr. Downs’ second opinion saved me a lot of money, and kept my bulldog off of the operating table. I appreciate the honesty and integrity in which Dr. Downs conducts her business. If you are looking for an exceptional doctor to take care of your pets you have found her in Dr. Downs. I’ve been a fan since she worked at other vets and am thrilled that she finally has her own practice. I have three old spaniels with several medical problems. Dr. Downs makes them comfortable, diagnosis the issue and provides the appropriate medicines. She will go out of her way to get answers and contact specialists. Stop by and meet Dr. Downs and see her state of the art hospital. You won’t be sorry. Normally, we don’t know if taking our dogs to the vet is more stressful for them or for us! My husband and I are so happy we found Dr. Downs at Temecula Valley Animal Hospital. She, along with an assistant have a loving and caring approach to relax and remove anxiety from your dog or cat. No cold, stainless steel table here. Instead, they sit on the floor and play with your pet, while offering treats and gently petting. Our dogs didn’t even realize they were being examined. Their method along with their knowledge is exceptional. Our only regret is that we did not know about this facility and wonderful Doctor sooner! Temecula Valley Animal Hospital offers comprehensive services for your pet. From routine preventive care to emergency and surgical procedures, TVAH is here to support the well-being of your furry friends. Physical exams, consultations, preventive medicine, blood work, vaccines, and wellness programs. Spay and neuter procedures available for both dogs and cats. If your pet has been injured or requires surgery, we provide services in a manner comforting to the animal AND the owner! No need to make a special trip to a pharmacy or order online, we can fill your pet’s prescriptions quickly and affordably. Lara Downs, DVM studied at Western University, the first veterinary school in the nation to provide a curriculum through problem based learning, nurturing and strengthening the investigative and communicative nature of veterinary professionals. Dr. Downs graduated as a member of the charter class from Western University in 2007, with Betty Whites’ blessing, as the keynote speaker! Shortly after graduation, Lara, her husband Dan, and their many fur & feathered animals moved to live, work and play in the Temecula Valley. Her fur and feathered family now consists of two female dogs Shay & Soleil, three male cats Crookshanks, Modelo, and Pinot, and one cheeky male Senegal parrot named Buki! During four summers as a youth, Lara volunteered at the San Diego Zoo, and loved it! Even as she discovered and pursued varied interests in life, whether performing classical piano or various forms of dance, the care of animals had always been her strongest passion. Dr. Downs has been constantly and deeply involved in the care of animals since 1996. Dr. Downs is continually committed to her community through outreach programs, to benefit both humans and animals. 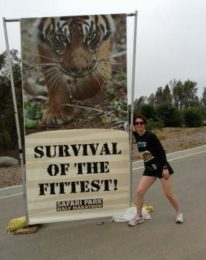 She has run half marathons to benefit health organizations, performed ballets to raise funds for the Marine’s Wounded Warrior Project, has put much muscle and sweat in helping to build the Huntington Beach Wildlife Preserve, and often volunteers her medical care to various causes, such as Nurtured by Nature. Dr. D. is a Fear Free Certified Veterinary Professional, and is happy to have created a healthy practice, which embodies a positive, diligent, efficient and productive environment in which to care for our patients, and please their owners. 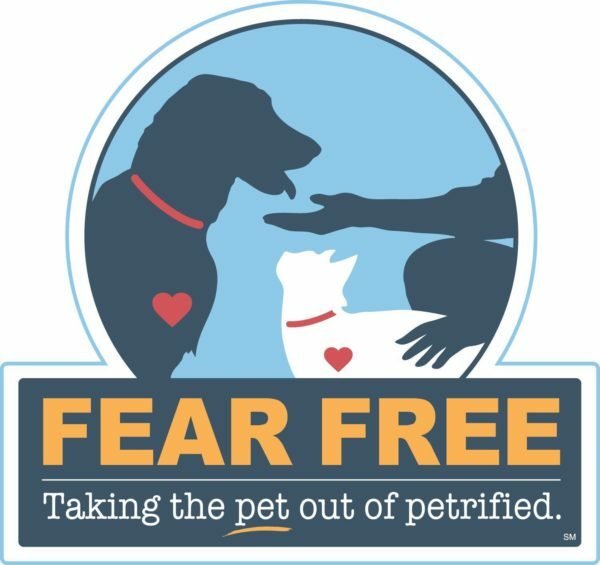 As a FEAR FREE Certified Professional, Dan loves discovering ways to reduce the stress of visiting pets, and clients alike. Dan has always considered himself to be a professional grade amateur animal masseur. He also believes he may benefit from his sessions more than the animals. Ever so proud of his wife Lara, Dan can easily say that he loves his vet! He also unwaveringly adores their six fur and feathered family too! 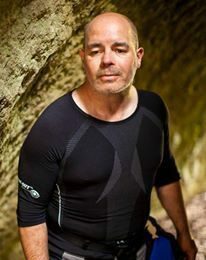 Mr. Downs studied theater at both San Diego State University and the Old Globe Theater, danced with the San Diego Dance Theater and the American Ballet Ensemble, and has performed and directed throughout Southern California. Dan has served on the board of directors at the Long Beach Playhouse and been a force in hospitality client care for Marriott International. He has committed much time in the care of animals over the years, whether fundraising, or assisting pet care professionals. Dan is looking forward to his time at TVAH, meeting all the new faces, focusing on client care, and assisting the medical staff, in the care of pets. We’d love to keep in touch and hear your feedback! Your communication allows us to get even better! Read Our Reviews,Or Write One! please call/email our office or use the form below.